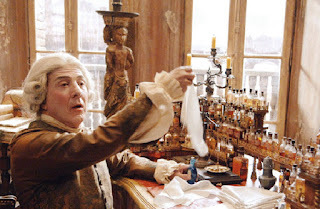 Grain de musc: Is there a master perfumer in the room? If you follow the world of perfume very closely, You recognize immediately - The House, The Nose, The Style. You know who and what you do and do not like. Creed claim that Olivier Creed is a 6th generation MASTER PERFUMER. As it's within their company, i suppose that's fair enough. But i can remember when creed were promoting Selection Verte in the 1990's and they claimed it was a bespoke fragrance, made espcially for Cary Grant. Now they are claiming that Selection Verte is from 1901 and "worn by the greatest name in the field pschoanalysis". This seems to be about as honest as their other claims about "Royal Warrant's",their use of rare ingredients such as "DUKE OF WINDSOR ROSES" and "Royal pineapple" and endlessly sailing the seven seas in serch of whale puke ETC ETC. I think the main thing for most people when they are out shopping for perfume is - Does this smell good ? - Can i wear this - Will this make me feel great ?. They are not intersted in "Master Perfumers", "Royal Warrants or Pineapples" or fake histories. We could all do without this kind of duplicity. Chris, while connoisseurs know what they like, I should imagine that the less initiated could be impressed by "legends" and prestigious titles: they're all part of a luxury product's aura (and here's where I could go all Marxist and speak about the commodity fetish). I've often read critiques of Creed's claims, and clearly what you're saying about Selection Verte doesn't say much about credibility. We could definitely do with less bull in backstories. I would love a chance to win Corps et Ames (Body and Soul, yes?). 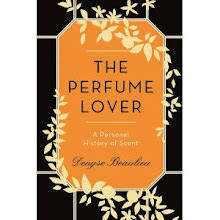 It is too bad that people can casually throw around a phrase such as "Master Perfumer" which less experienced consumers might be tempted to believe. This would never go in the days of the European guilds. 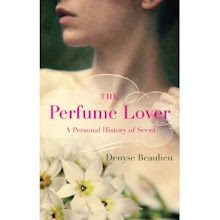 Of course, "master perfumer" had a meaning in the days of guilds, and a very concrete, legal one. This is why "Maître parfumeur et gantier" refers to (the brand, I mean). When the term is applied to people who can actually be thought of as masters of their art because of the originality, experience and peer recognition, it doesn't bother me as much. But it seems the further brands move away from the major creative centres (Paris and New York), the more easily it's flaunted. Susan, I should imagine B&BW's products are scented by top-level perfumers (those are biiig budgets), and if those perfumers work in labs where this title is given... Otherwise: blarney. I guess it hasn't bothered me also because I find her fragrances truly beautiful and kind of think she deserves the title. But you're absolutely right, to claim oneself master of this or that or proclaim to have composed a true masterpiece isn't serious nor professional. Iodine, let's just say it's taking advantage of a very grey area... Which of course has no impact on the quality of fragrances. As for Maria Candida Gentile, I was told at the booth that she used predominantly natural ingredients, not 100%. Obviously the violet in Exultat cannot be only naturals, and just by smelling, it was obvious that there were synthetic materials in most compositions. Lol, you have to love that kind of play on peoples ignorance.. Good to see that you did the homework to see if this is a legitimate claim by the man, but he knows most people will simply accept his self evaluation and move on. It's easy to give yourself a title like this without any basis and parade yourself around as a guru. Men's Cologne Hub, in the particular case that attracted my attention, the self-styled master perfumer is talented and unpretentious. The term is used, I imagine, for marketing purposes, but doesn't detract from the quality of the fragrances. But I've seen it bandied about so much it was just the proverbial straw, you know? So, no reflection on this person, who deserves a lot of respect.